Welcome to DrawingGamesOnline.org! We aim to collect the top online drawing games here. There's something about drawing games online - sketching shapes, faces, smileys, etc. On its own, there's nothing really spectacular about it. BUT add the fact that you have to draw using your mouse (which is challenging) and that you are doing it in a quest for a high score worth posting on the global scoreboard, it's NOT surprising why adults and kids alike love playing sketching games. 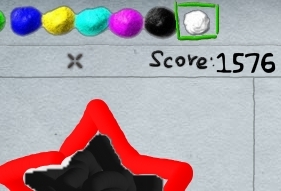 And here at DrawingGamesOnline.org, you will NEVER run out of drawing style games to play. From games that require you to just draw what you are told to, those where you need to let your creativity out and use your drawing to move a ball to the other side, and those painting and coloring games where fast and steady hands rule, you'll find it at DrawingGamesOnline.org! Here's something to make the whole affair even better: score high enough and you get to post your points on the scoreboard for everyone to see! Not to mention you can earn awards and badges here at DrawingGamesOnline.org! Drawing games at their purest form! You will find it here. Sketch 2 is one of these 'pure' memory games that have made it to the top 10 list and for very good reason. Coming with 24 levels that get harder as you progress, this game will surely keep you busy and sketching for the hours to come. If you can finish a complete picture in this game, you can finish the whole game! It takes a lot of patience since you also need to color those images. Well, all the better! That makes Sketch 2 even more satisfying. Unique Drawing Games With A Touch Of Something Else! There are drawing Flash games online where painting images is a means to the end rather than the whole point of the game itself. These sorts are the MOST interesting and one of them is Bounce Ball. Simple at first glance BUT it's actually complex. You need to draw simple and concise platforms and ramps that the bouncing ball can bounce on and to the goal. And that's just one of the unique games we have to offer! Simple Enough For Kids To Play! Want a drawing game that your 4 year old can enjoy? We have those too! And your best bet is to check out aMaze - this is a drawing game online whose mechanics are so easy to pick up, your child would understand how to play within seconds. The idea? Draw a line from start to finish. BUT remember, there are obstacles you must not bump into or it can spell GAME OVER for you! Whoever thought drawing games are not enjoyable definitely has NOT been on DrawingGamesOnline.org! Sign up and give one of our games a shot and you will see what fun means.